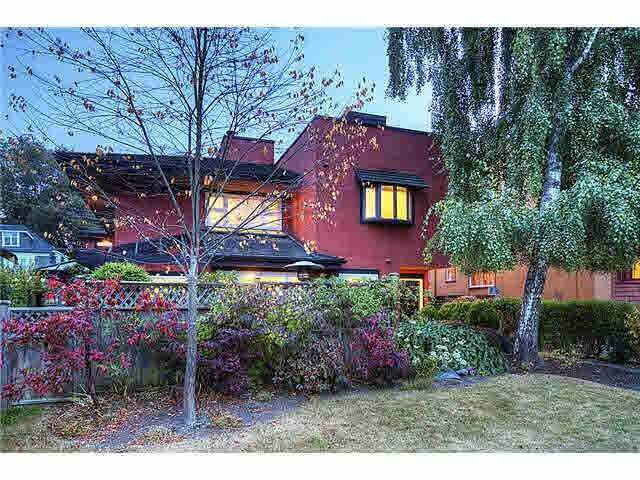 "Kits Point" - One of Vancouver's most sought after addresses. Just minutes to everything, including Kits Beach, 4th Avenue's restaurants & shops & Granville Island. This gorgeous 2 bedroom home will inpress. Totally renovated featuring hardwood floors, wood burning F/P, all new windows, new kitchen & appliances. Fantastic open layout w/ living & dining room opening to spacious, fenced yard. Upstairs - spacious 2nd bedroom & huge master bedroom w/ walk in closet & new ensuite bathroom w/ heated floors. Enjoy beautiful North Shore mountain views from a large rooftop deck with plenty of room for outdoor furniture. This home has loads of storage room including massive attic space & a 1 car enclosed garage.